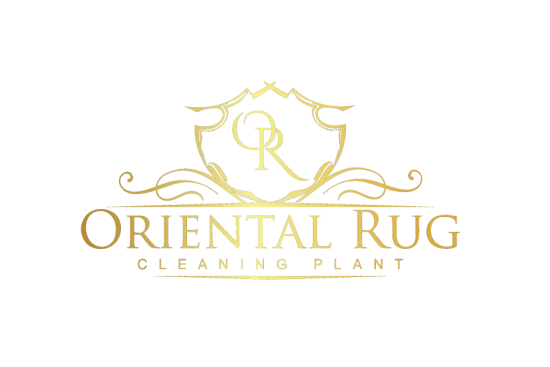 At The Oriental Rug Cleaning Plant, we specialize in full immersion washing of Natural Fiber Area Rugs as well as Synthetic Area Rugs, we also can provide the very best in area rug padding. We have a friendly staff on hand to help answer any questions you may have related to your fine area rug. We also have a professional rug technician on hand who oversees and is involved in the entire washing process of each rug, from beginning to end. Our Master Rug Technician has many years of experience in honing his craft and is well versed in all aspects of area rug maintenance and service. We have spent years perfecting our service model in a way that provides the best results possible for each rug, while ensuring each step in our process is as safe for your fine area rug as it is thorough. 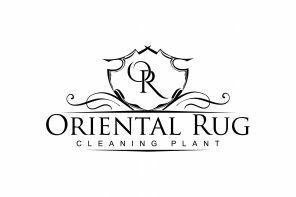 One of the benefits of choosing The Oriental Rug Cleaning Plant for your fine area rug washing service is that you can get a brand new pad for your area rug from us as well. We keep fantastic rug padding in stock at our facility, which makes the process of replacing your area rug pad during a washing service as simple as can be! A high quality rug pad should last several years, before needing replacement. There are some simple to spot signs that will tell you when the rug pad needs replacement. If your pad is starting to fray, if you are seeing fibers of the padding next to your rug, or the padding is no longer helping to hold your rug in place, it may be time to replace the padding. These signs are easy to spot, but typically only occur when a particular area rug pad has been used for too long. It is recommended to have your natural fiber rug professionally cleaned every one to three years. This timeline fits perfectly with pad replacement. The recommendation would be to replace your area rug padding when you have your rug professionally cleaned. There are many benefits associated with the placement of rug specific padding under your in home area rug. If it is time to have your natural fiber rug cleaned and you are on the fence as to whether or not you should purchase rug padding or replacing your rug padding, here is some information to help you make the right decision. When purchasing new padding for your in home area rug, there are a few different types that you will be able to choose from. 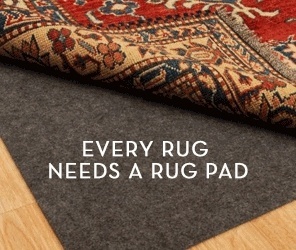 The three main types of rug padding are Non-Slip Rubber, Felt and Felt-Rubber combination pads. Choosing the right pad for your particular rug and pad needs is important for a few reasons. Improper padding can actually damage your floor, as well as your fine area rug. One type in particular (known as Synthetic Non-Slip), is cheap and easily available in most department stores. This padding is not recommended as it is typically made of synthetic materials and covered with a non-slip coating. This type of padding can actually stick and remain on your floor or your rug itself, causing permanent damage. Proper Nonslip area rug padding is made of natural rubber with no synthetic materials or coatings. It is usually thin, airy and looks like mesh. This type of padding is typically a lower cost and used only to prevent slippage or bunching on small and light rugs. Felt area rug padding is thicker and softer than standard non slip padding. Felt padding will not help to prevent slipping and bunching. This type of padding would be recommended for larger, heavier rugs that are held in place by furniture. 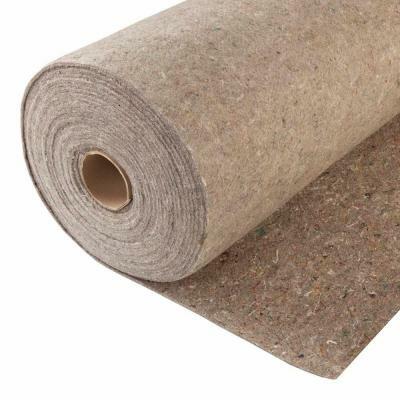 Felt padding will provide extra padding for comfort and will also help provide a layer of protection for your floor. This type of padding typically wears at a quicker rate than other types. Felt-Rubber combination padding is the best of both worlds. A quality Felt-Rubber padding will have a layer of Non Slip, natural rubber padding on the bottom with a layer of soft felt padding on the top. This combination of Felt and Rubber provide the non slip benefits of natural rubber padding along with the comfort and protection of felt. The Felt-Rubber padding is slightly more costly, but worth the investment. This benefit of area rug padding seems to be the most notable. This added cushioning adds a layer of comfort to your area rug. Many times, area rugs are placed on hard floors within homes. A rug laid directly on tile or a hardwood floor will not provide much cushioning and can barely feel as though the rug is even there. The cushioning provided by the padding makes it softer, more comfortable surface to walk, sit or lay on. This extra cushioning will also help with noise reduction. A smaller added bonus that would be quite noticeable for homes with hard surface floors. When your rug is laid out in your home, it may or may not have furniture placed on top of it. It is quite common for an in home area rug to have furniture such as a couch or table placed on top of the rug. Other homes may have rugs in areas with no furniture placed on them. Either way, a rug with no padding is susceptible to sliding or bunching. This puts anyone walking on or across the area rug at risk of slipping or tripping over the rug. The padding will help to hold the rug in place, which will prevent the edges of the rug from sliding or bunching up. Area rug padding is typically made to help create a protective barrier between the rug and the surface beneath the rug. The obvious benefit to this is that if there is a spill on the rug, the padding will help to prevent the spill to seep through the area rug and damage the surface beneath the rug. Your rug would need tending, but the pad should save the flooring from any possible issues. This barrier of padding helps to protect your floor from the rug itself. Over time, the dyes and tints on an area rug can begin to wear off. All rugs wear over time, no matter how well they were crafted. These dyes can transfer to your flooring under the area rug and cause permanent damage. This issue is typically difficult to identify until the damage is done, due to the fact that most people do not inspect the area under their rug until it is being moved. The padding can absorb these light dye transfers, which will prevent damage to your flooring. While it is recommended to have your natural fiber area rug professionally cleaned every one to three years, it is also recommended to regularly vacuum your rug. Vacuuming your rug a couple times a week will help to prevent an excessive buildup of dirt, dust, hair or any other contaminants that can accumulate at the base of the rug. If your area rug is placed directly on a hard surfaced flooring, it creates a stoppage when vacuuming which greatly reduces the effectiveness of the process. Padding under the area rug will provide some spacing between the base of the rug and the floor which will help with airflow during the vacuuming process. This added airflow helps the vacuum work much more efficiently, which helps to remove as much debris as possible. The less debris at the base of the rug, the longer the fibers will last. When it is time to have your in home natural or synthetic area rug cleaned, don’t forget to address the padding. Feel free to ask us any questions regarding the area rug padding. We keep a high quality area rug padding in stock at our washing facility and we can cut to fit for any size, whether you are having your rug serviced by us or not. If we are picking your rug up to service in our facility, we can take your old area rug padding for disposal. If we are delivering your cleaned area rug to your home, we can deliver your fresh new padding with it as well. Don’t hesitate to reach out to our area rug professionals with any questions you may have regarding your natural or synthetic area rug, or the custom fit padding to be placed underneath!